A computer that is approximately of a size of your palm with analog composite video output and HDMI. What can I use Raspberry Pi for? You can create small projects (like VPNs, media centres, video game systems, etc.) at a cost of $35-40. How can I format SD Card for Raspberry Pi? This is a part of installation process, so DAEMON Tools Ultra does it for you! Before the installation process launches, our software will gently format SD Card for Raspberry Pi. What is the recommended Raspberry Pi SD Card size? The recommended size for the storage device is 8GB or more. How to install a Raspberry Pi SD Card OS? Press Start, wait till the process is finished, and your Raspberry Pi SD Card is ready to use! 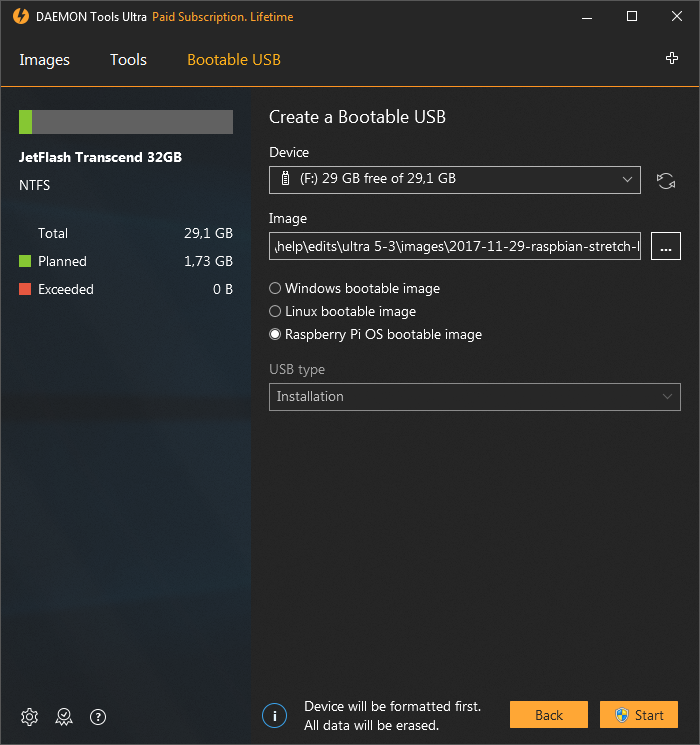 How to backup Raspberry Pi SD Card? 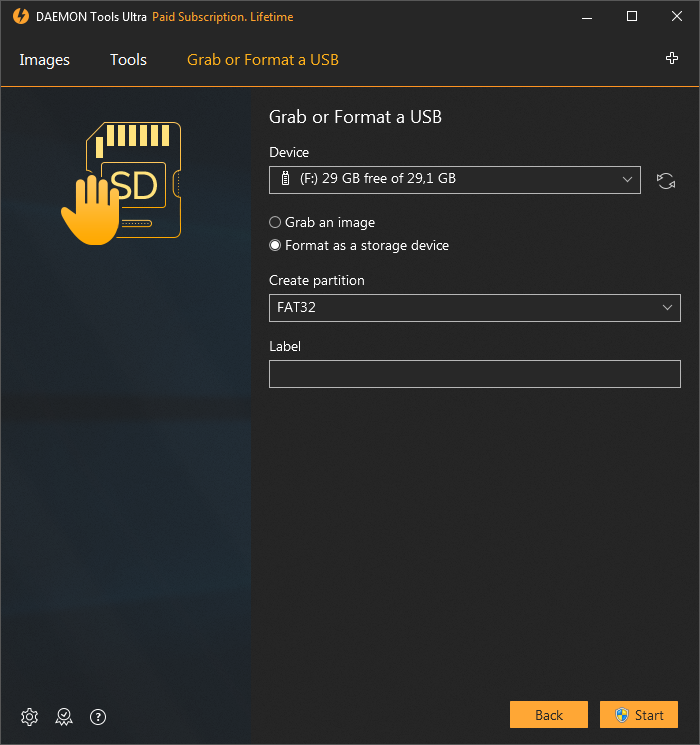 How to format SD Card after Raspberry Pi? Hope this post helps format SD Card for Raspberry Pi and backup Raspberry Pi SD Card. Just in case you need to clarify something, contact us in comments below or via the support form.